This year’s Christmas campaign, #LIGHTtheWORLD, encourages each of us to follow the example of Jesus Christ through acts of service. Often, we feel like the only way to make a difference is through large, well-organized service projects. Although members of the Church across the world do great amounts of good through these large efforts, they are not always necessary for following the Savior’s example. Often the Savior ministered to others individually, and we can do so as well. Since March, we have encouraged sisters to serve refugees through the “I Was a Stranger” effort. The strangers in our communities have many needs that we can help address. As the holidays approach, consider ways that you might help refugees and others in need while being sensitive to the differences in tradition and culture that may exist. Seek inspiration and find acts of service that fit the needs of those you are serving as well as the needs of your own family. 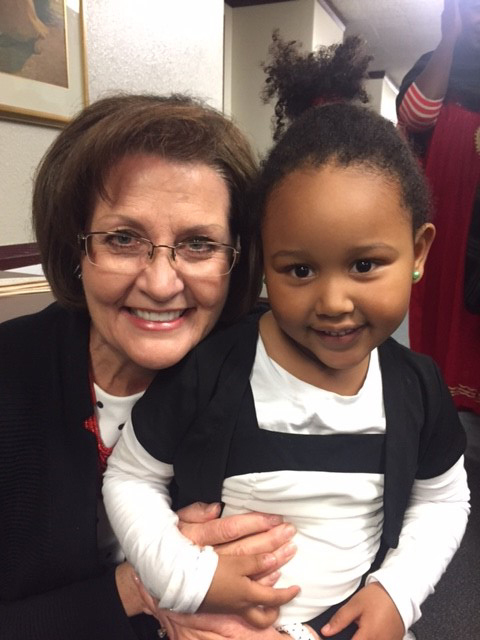 You might consider inviting a refugee family to join you for a family tradition, such as baking cookies or Christmas caroling, or perhaps you could invite them to your ward Christmas party or to do a service project together. There are service opportunities to fit every circumstance. I have been lifted and inspired this year as I’ve heard stories of members’ heartfelt efforts to support the “I Was a Stranger” program. One sister, Karen, took the time to show a little kindness to a lonely refugee mother. Their children were in the same class, and Karen noticed how the other mothers avoided this woman. Over the course of one brief 30-minute conversation, these sisters lifted each other’s spirits and each of them left feeling a little more understood. I was also touched by the efforts of Avery, a 10-year-old girl from San Antonio, Texas. Avery and her parents helped to welcome a new family to their city. Strangers in an unfamiliar town, this family was expecting a new baby. Such a move might have been very overwhelming for their family without Avery’s help. Avery and her family helped babysit, and they often invited this family to join them on fun outings. Another sister, Janet, befriended Nelli, a refugee woman from Armenia. The missionaries asked Janet to meet with Nelli once a week and talk with her in an effort to help Nelli with her English. Over the course of several months, Janet and Nelli became close friends. What started out as a few English lessons blossomed into a meaningful and lasting friendship. 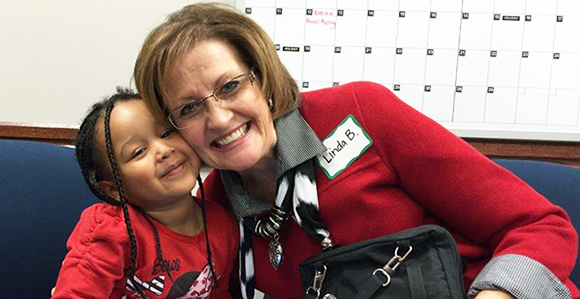 Last Christmas, the Relief Society general board and several refugee women and children had the opportunity to give service together. 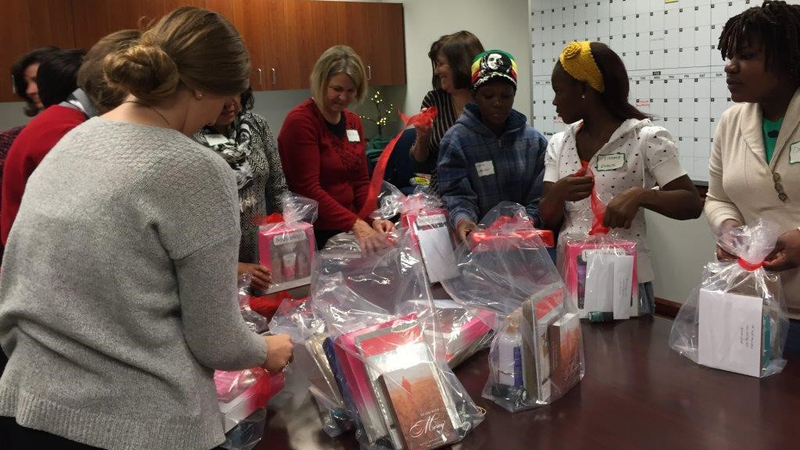 We spent an afternoon compiling kits for women in need, giggling and working side-by-side. These refugee women often feel awkward to so frequently be on the receiving end of service, and they were so happy to be able to contribute. It was such a sweet experience for us to sit with these recent refugees and to listen to their stories. We shared a wonderful meal prepared by some refugees from Burma, which was a special opportunity. 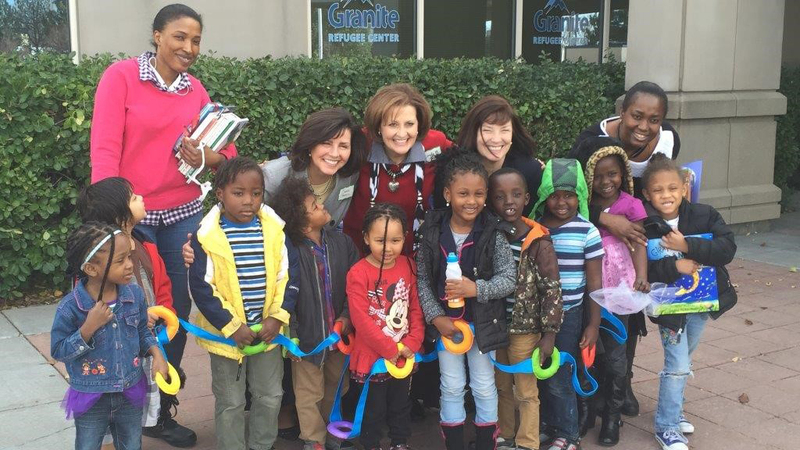 We also read stories to preschoolers whose parents are refugees, and spending time with those sweet spirits was the greatest joy of all. When we serve together, we are all blessed. Dear brothers and sisters, don’t focus on making your service ornate—simply reach out as the Savior would to lift the strangers in your midst. As you serve, you will feel of His love for you. May you be inspired by our Savior’s example as you seek to serve this Christmas season.